Sandy Point Beach and Parrot Cay. Sandy Point Beach is located close to the main ferry dock on North Caicos, so it’s a great place to wait for the boat to Providenciales. 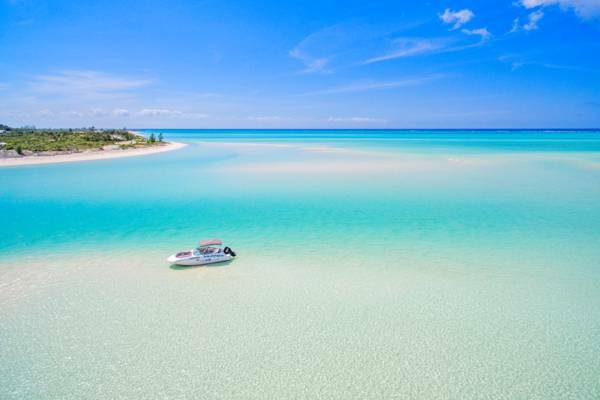 The northern end of the channel between North Caicos and Parrot Cay has filled in over the last few years, so there’s now an incredible setting of sand bars, clear water, and shallows at Sandy Point Beach. 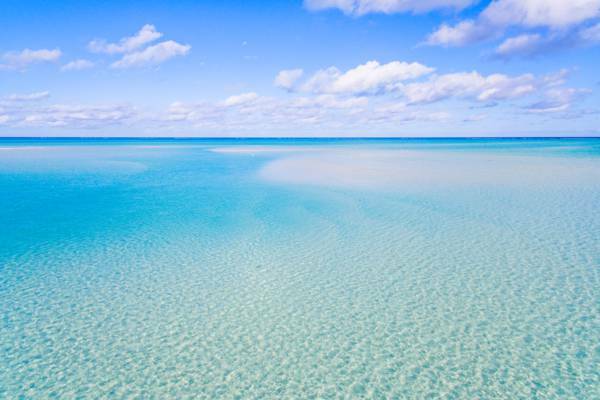 The water off of Sandy Point Beach, North Caicos. Found at the northwest of North Caicos, the lonely 2 miles (3.2 kilometres) long Sandy Point Beach is an interesting place to explore. Some sections of this beach is rocky, yet decent sections can be found. Overall, Whitby Beach, Hollywood Beach and Pumpkin Bluff Beach tend to offer better swimming conditions. There are two general regions of Sandy Point Beach; the extreme northwest point on North Caicos, which is accessed from the marina area, and the secluded eastern half. Parrot Cay can be seen directly across the channel at Sandy Point. The eastern portion of Sandy Point Beach features a unique landscape, with groves of the small-in-stature thatch palm on top of semi-lithified dune cliff. Private boat charter at Sandy Point Beach. The north-western side of Sandy Point Beach is adjacent to the channel that separates North Caicos from Parrot Cay (Parrot Cay Channel), and the northern end of this waterway has gradually filled in over the last few years. Today, the shallows in the area offer an incredible landscape, with sand bars and turquoise-hued channels. It’s quite easy to access this beautiful coastal area. Simply continue west a short distance on the main road past Sandy Point Marina (the ferry dock), and you’ll get to the beach. Sandy Point Beach, North Caicos. Sandy Point Beach is within short walking distance of the marina where the passenger ferry docks, and it’s a place to spend a bit of time if you’re waiting for boat. Likewise, if you’re planning a day trip to North and Middle Caicos, Sandy Point makes sense as the final stop of the day. See Mosquitoes in the Turks and Caicos. Due to being sheltered from the typical east southeast trade winds, Sandy Point Beach (and the adjacent Sandy Point Marina) can have a sand flea (biting midge) and mosquito problem at times. 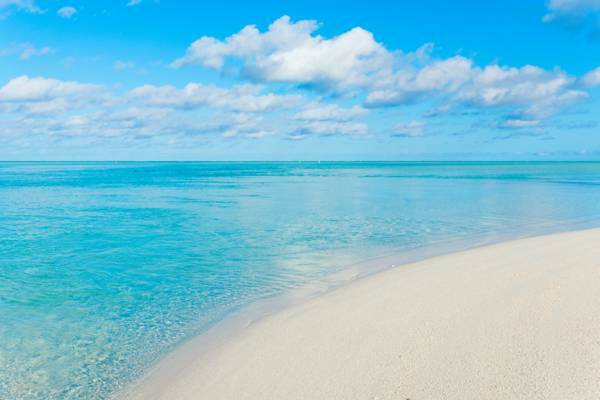 Although long sleeve clothing and insect repellent can improve the situation, it’s best to simply try one of the other excellent North Caicos beaches when the pests are prevalent. Primary access for Sandy Point Beach, and closest to the ferry dock. This location is adjacent to Parrot Cay Channel, and the best section of Sandy Point Beach. This easily-overlooked path leads to a quiet and decent section of deserted beach. The several beach accesses in this area lead to the east end of Sandy Point Beach.